Theft of saddles has risen sharply over the last few months with many livery yards being cleaned out overnight by increasingly audacious thieves. 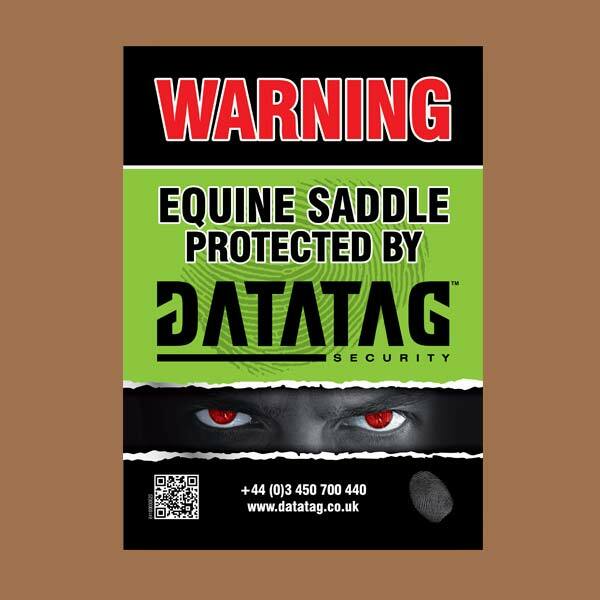 Datatag provides a simple to fit electronic 'finger print' for your saddle together with a warning decal for the tack room. Unlike some similar systems on the market, Datatag uses a transponder that is resistant to the crush and shear that occurs in a saddle and benefits from the comprehensive infrastructure of Police scanners to support the Datatag system. 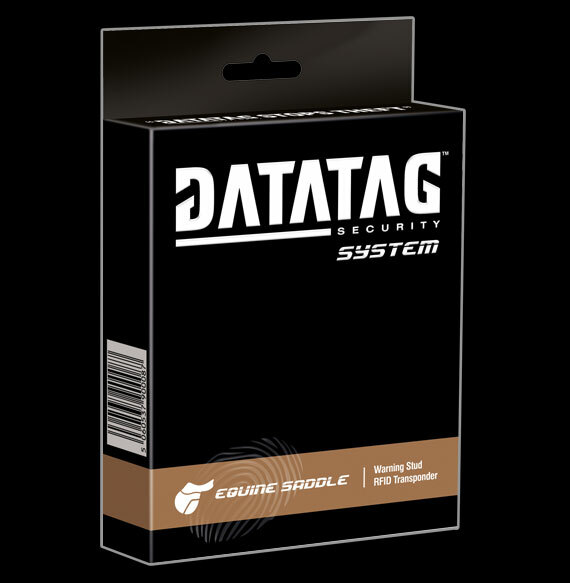 Datatag is easy and quick to install at home with no special tools needed. Alternatively you can use your local saddler to install it for you. Datatag also has a system available to manufacturers for horsebox trailers. Various manufacturers already offer Datatag as standard such as Ifor Williams, Fautras, Rice, Wessex and Pegasus and is an optional extra with Indespension and Brian James. 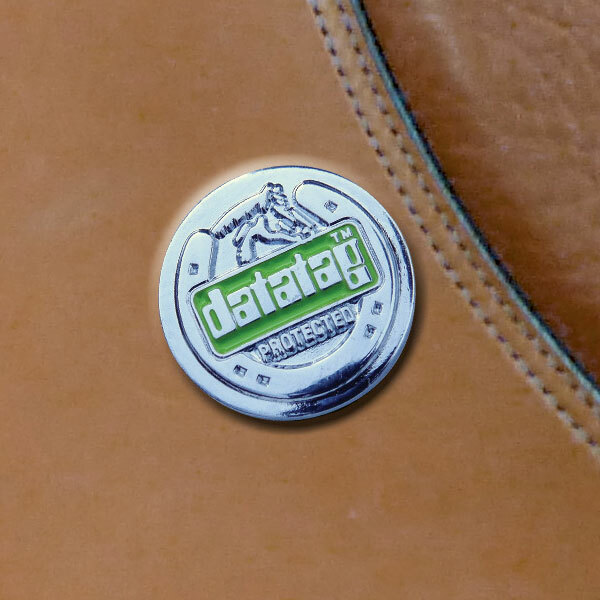 These specially designed Datatag warning stud show that your saddle is installed with a state of the art Datatag system and warn off any potential thieves. This specially designed Datatag sign warn off any potential thieves and indicate that your property is protected by a state of the art Datatag system. In addition to targeting farmers and rural homeowners, NFU Mutual claims data suggests thieves are also targeting horse owners and equestrian businesses as tack and horseboxes top the wish list for equestrian items. The theft of tack and horseboxes accounted for 60% of all equine-related theft during 2011 with hay and feed coming in as the second most targeted items at 13%. Carriage-driving equipment, trailers, horses and electric fencing are also popular targets with an average claim cost of £4,700 – more than triple the cost in 2010. There have also been reports of thieves operating at shows and stealing tack and personal belongings; only recently, £16,000 of tack was stolen from competitors at the Blue Chip Championships at Hartpury in Gloucestershire.